I’m taking a bit of a reading break as I wait for my new books to come in. I enjoy home and decor magazines too. I’m the same way with fashion magazines, the stuff is so outrageous and you can’t wear half of the things for everyday. Never heard of Joshilyn Jackson! I will definitely have to check her stuff out! 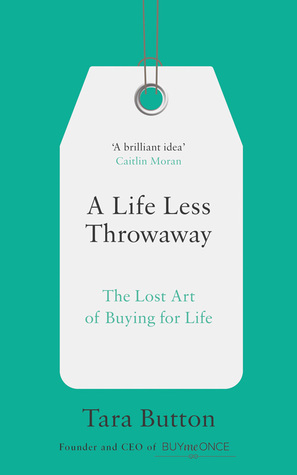 I have A Life Less Throw Away on my kindle, I’m reading it for a book club sometime this year. The only magazine I still get is Real Simple. Definitely going to try the first 3! I love the royals, and I love Christina Lauen! I have been listening to romance books on audio while in the car. I usually don’t do more than one book at once but I realized that the romance or cutesy reads don’t require my full focus so I can listen to them! Oh, love Joshilyn so much!! I don’t think I’ve read that one – so I’ll have to check that out. I really want to get back into my reading groove, so maybe she’ll help me out! 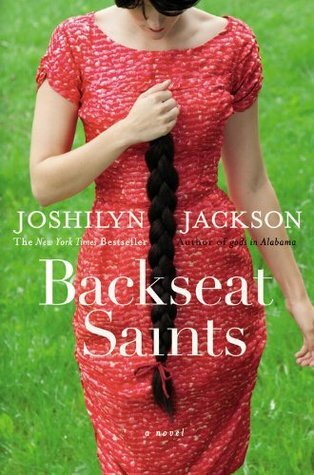 I’ve been reading to mean Joshilyn Jackson for years – I love all things Southern and I know I’d love her books! I need to read more cozy mysteries. I do love them. And I’m obsessed with magazines – I subscribe to a lot. LOL You should join in for Glossies Made Me Do It sometime (first Friday of every month). I’ve added Joshilyn Jackson’s name to my list to check out at the library. What a beautiful name she has too! I still need to try a Joshilyn Jackson book sometime!! That Emma Chase series is on my maybe list for someday. I love that it is a bit like the Royal We, which I loved, but I also need to be in the mood for that particular brand of royal drama. lol. I need to check out Backseat Saints and Half Night Stand for sure. I love Real Simple and Southern Living and subscribe to those! My Favorite Half-Night Stand sounds really nice and relatable. Will definitely check that one out! i used to spend SO much money on magazines so finally had to quit cold turkey a few years ago. for me, i was just wasting so much money it was insane. and i mainly bought celebrity or fashion ones when i did, and if i wanted to read about celebrities i could go online, and it’s not like i could afford anything in the fashion/beauty magazines lol. hope you can get back into reading a chapter a day – take a book with you when you go to the bathroom lol. 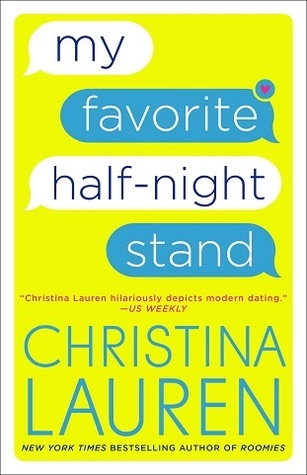 glad you liked the christina lauren book! I had an Entertainment Weekly subscription for probably 20 years, but I let it expire recently, because I found they were piling up and by the time I would read them, everything was old news. I recently discovered Joshilyn Jackson and I’m working my way through all her stuff — I love her style. My Favorite Half-Night Stand sounds like one of those “This is so relatable that I love it/it makes me cringe” titles, I’ll definitely check it out! Royally Screwed actually sounds quite fun. Like you, I’m not enamored with royals but I did also enjoy The Royal We. Okay, you had me at “two cats” with Sweet Secrets. 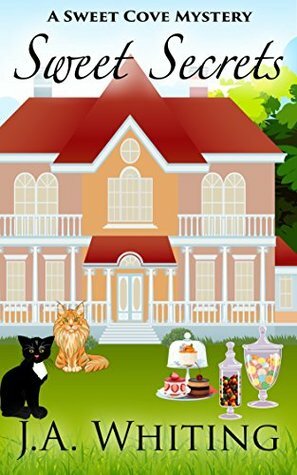 I’m on the lookout for a good mystery cozy series so definitely checking this one out! I used to read magazines all the time and then I just stopped. No real reason other than I just didn’t want to pay for them anymore. I found most of the stuff useless or too expensive and the articles I really like in say, Rolling Stone, are usually available online. I don’t subscribe to any magazines now, but I used to LOVE when my mom’s Better Homes and Gardens and Good Housekeeping magazines would come in the mail each month as a kid! Royally Screwed and Backseat Saints sound pretty good! I don’t get any magazines anymore. I used to when I lived with my parents, but we don’t have any that come to the house. Just catalogs (Ulta, Crate and Barrel, IKEA) and newsletters (Best Friends Animal Society, etc.). I wouldn’t mind subscribing to a magazine, though. I haven’t given it any thought in a long long time.